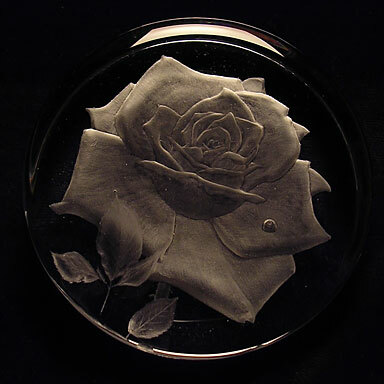 Roses are my favourite flowers but difficult to engrave. Drill engraved. It was sold to the Hill House Souvenir Shop, Helensburgh in 2005.